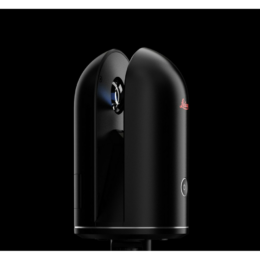 The Leica GS18 T antenna is the latest from Leica Geosystems’ GNSS range of products. It offers a whole new, unprecedented world of possibilities in complex surveying and implanting in hostile environments. On top of having all the advantages of the GNSS Leica Viva GS16 antenna (including the first RTK+ intelligent control technology), the Leica GS18T is also provided with the inertial measurement unit (IMU) and an integrated bubble which doesn’t need any calibration. This makes it the first antenna able to be used continuously, precisely and without any magnetic interference.The Leica GS18T is in fact insensitive to surrounding magnetic fields and doesn’t need to be calibrated: it can be used without any inclination limit, therefore allowing to take measurements in places considered unreachable until now (corners of houses, steep or dangerous areas, places that are hidden or difficult to access, etc. ), saving up to 20% time. For more information, don’t hesitate to contact our customer service at 1-877-566-6183, or by email: info@abtech.cc. We also invite you to watch the presentation video below, and to have a look at the data sheet on our website.